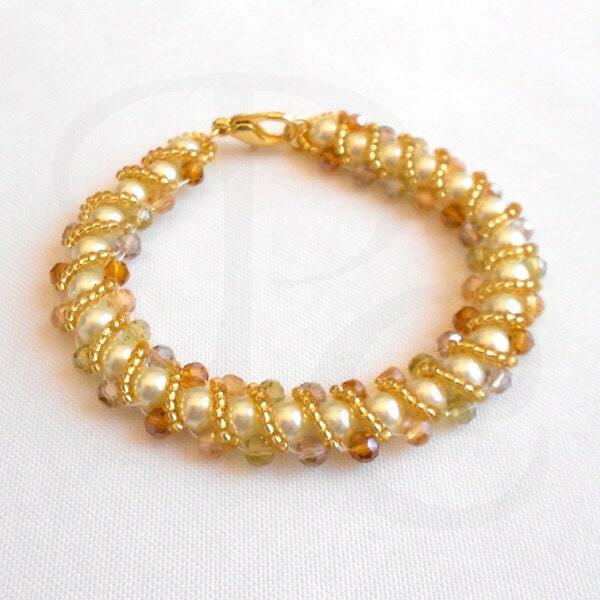 This lovely Golden Amber Pearl Beaded Bracelet is made of off white glass pearls, Czech fired glass amber beads and is accented with gold lined seed beads. It is perfect as an accessory for both day and evening wear. Created by bead weaving one pearl bead at a time, this beaded pearl bracelet is then finished with gold lined accent beads.